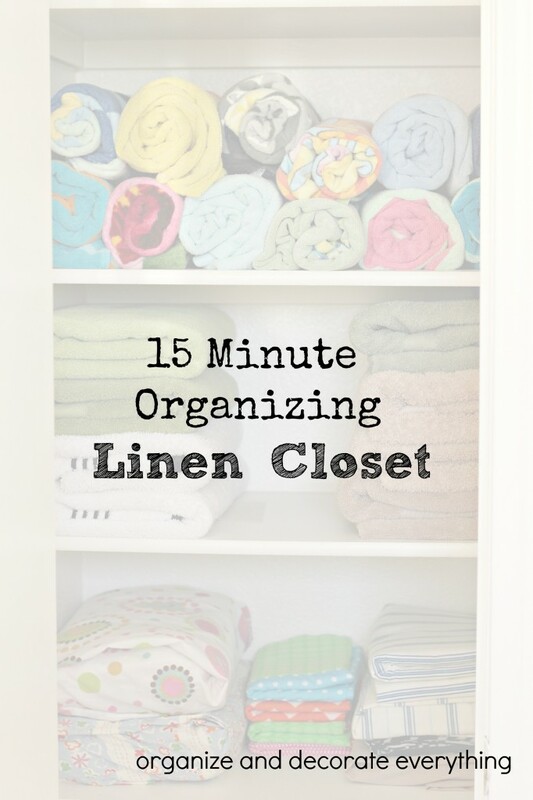 Set your timer and get ready to get the Linen Closet in tip top shape. 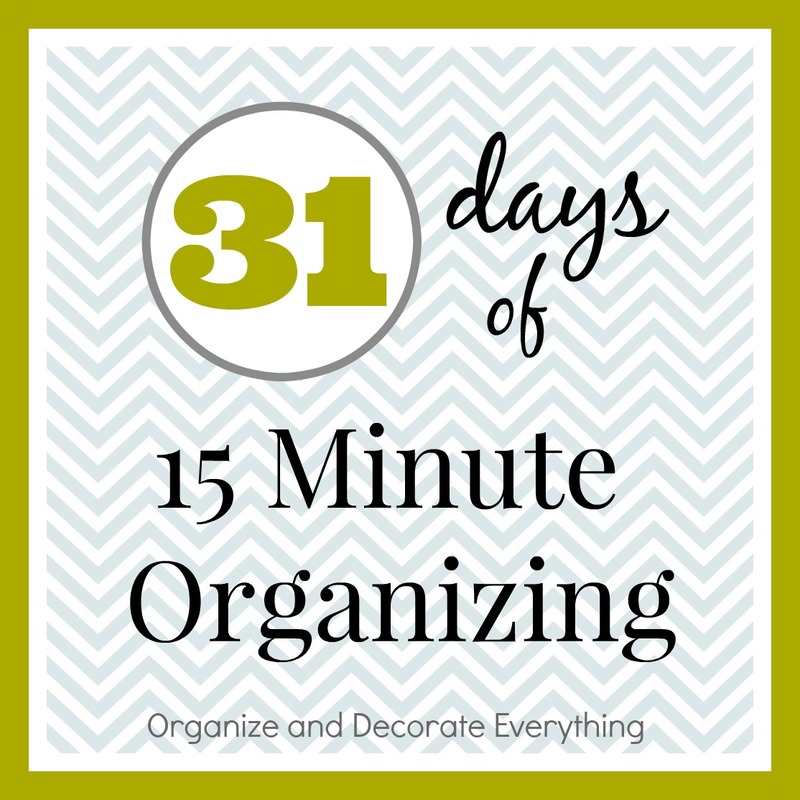 If you feel you can’t get the whole closet in order in 15 minutes, set the timer and work on one shelf at a time. I recommend starting with the sheets. 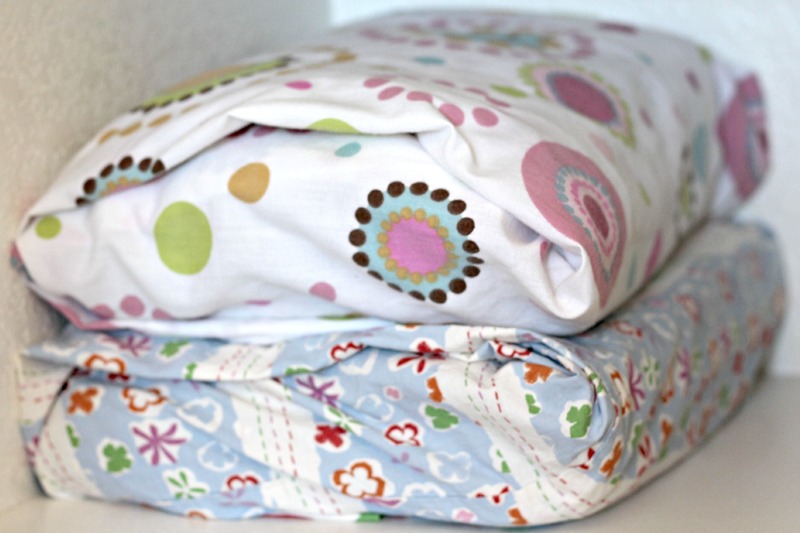 My favorite tip for sheet sets is to store them inside the pillow case. When a bed needs to be changed everything is inside the pillowcase and all in one place. It makes it way easier on the kids to help too. 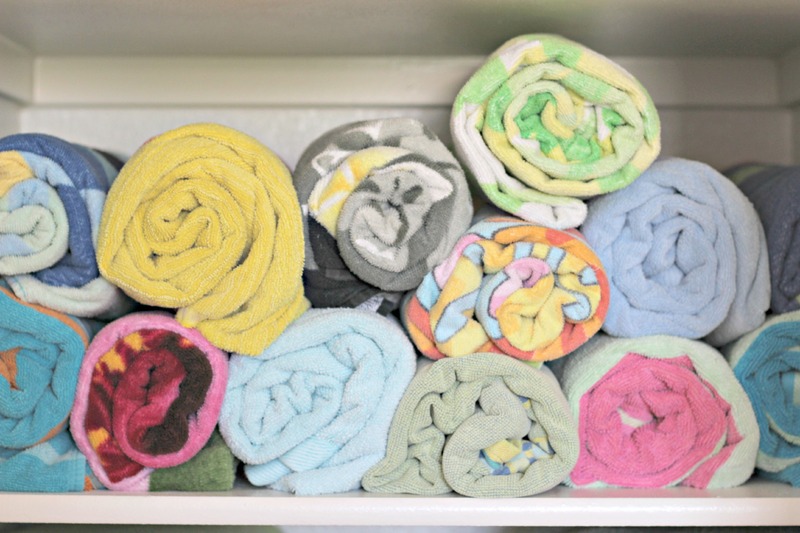 Move on to the towels. I fold the bath towels because I have plenty of room for them but I roll the pool towels because I’m short on space. 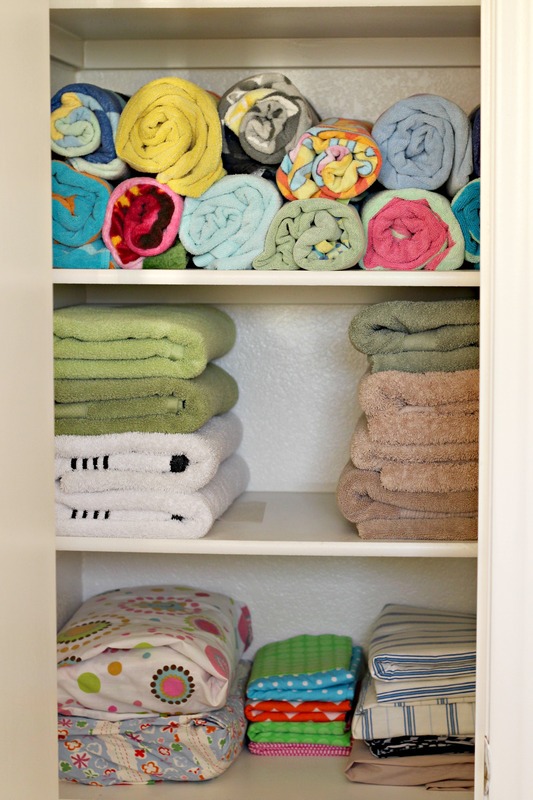 Plus when the kids pull out their favorite pool towel they don’t mess up the whole stack. 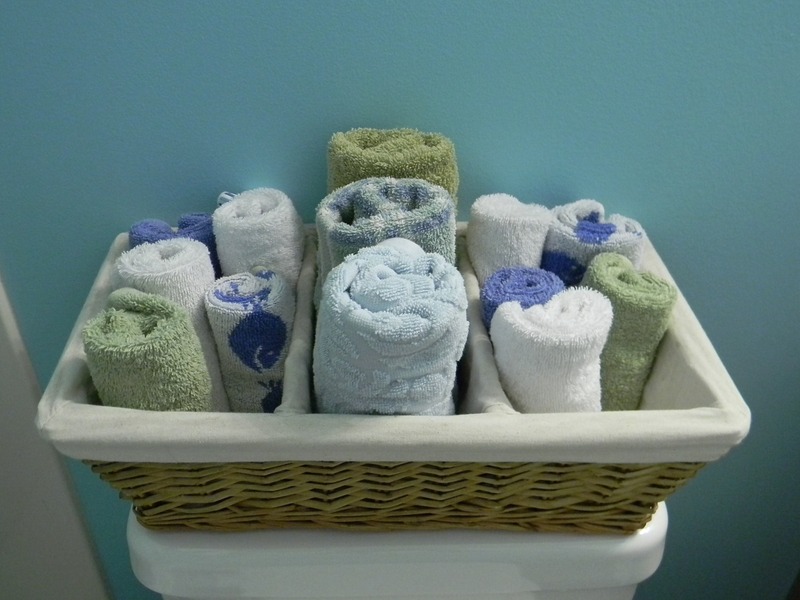 Take out any worn or stained towels. You can cut them up to use as rags or my husband will use them when he works on the car. Straighten the blankets and pillows and you’re finished. You might be wondering where I keep hand towels and wash cloths. I keep them in baskets in the bathrooms. 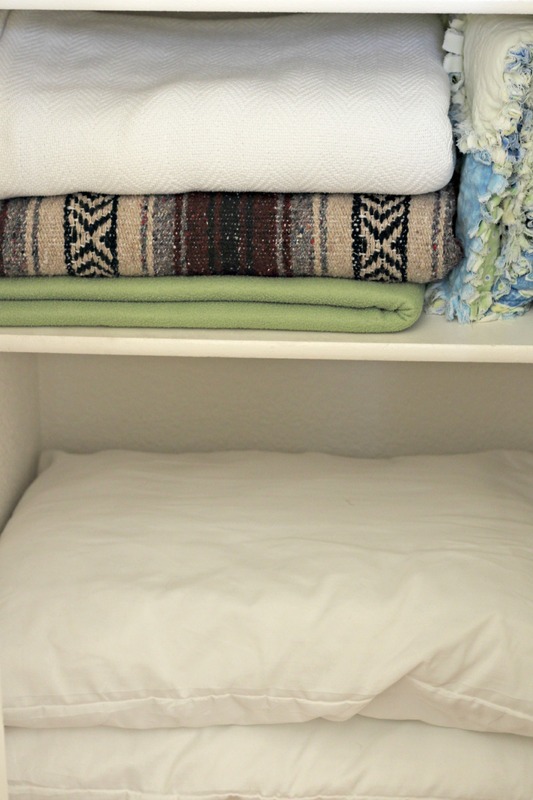 FYI: Old sheets, towels and blankets are also accepted at the local ASPCA or pet shelters for bedding. Wow – big help. My linen closet is triangular shaped with no light. Rolling the towels and standing them on end holds more towels and organizing the sheets will be a great help if I don’t have my flashlight handy. Thanks!